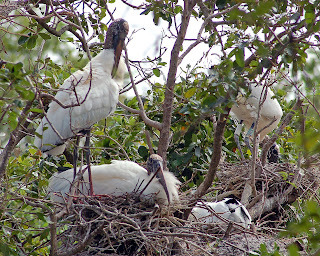 These wood storks are part of the colony that resides in the Jacksonville Zoo. They are not captive and seem very settled there. 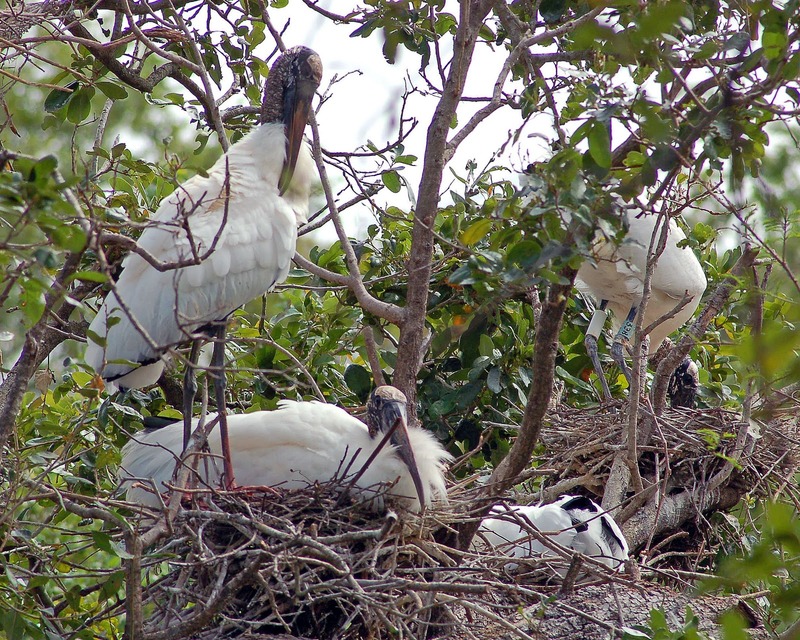 You can get very close to their nests on a raised boardwalk. I'm not a fan of zoos but Jacksonville has done a pretty good job with their facilities although there are still a few that really bother me.